It’s hard to read an SEO blog or forum today without seeing the words “content marketing” plastered all over the page. While content marketing is a fantastic tool for building social shares, traffic, brand awareness, and backlinks, it’s not the only link building strategy that works. In fact, for 70% of the industries out there — like insurance, medical procedures and dentistry– getting real traction from content marketing is nearly impossible. Whether you’re looking to build links in a “boring industry” or just want to take a break from the content marketing deluge, here are some tried and true link building techniques that don’t require a single word of additional content. Sponsorships and donations can land you and your clients authority backlinks with a few hours of work (and a few hundred bucks). 2. Make your donation (the typical amount varies, but ranges from $10 to upwards of $5000). 3. Send the webmaster your URL and anchor text. 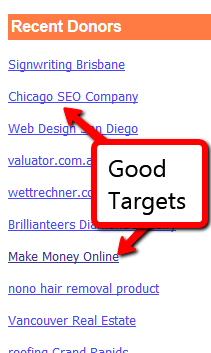 Most don’t accept keyword anchor text, so just use you brand name or site name. Rinse and repeat until you’ve got your links in hand! How can you find these high PR gold mines? In my experience, search strings don’t work very well because donation pages tend to word things very differently. 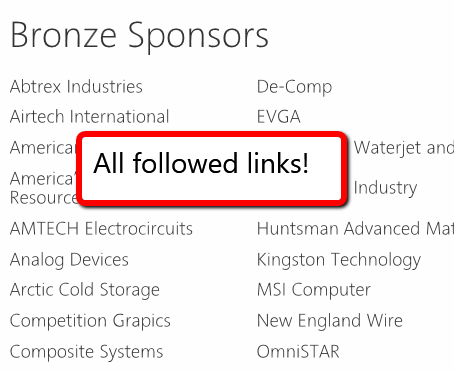 But you can usually find a handful of donation pages by searching for things like “sponsors page” or “donation page”. 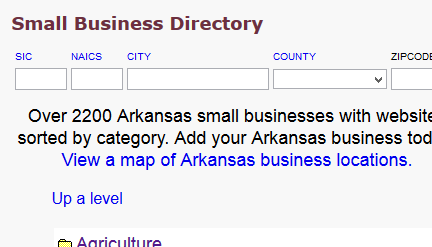 Then reverse engineer the sites listed there using a tool like Open Site Explorer. Word of warning: To some people, donation links are a paid link, which violates Google’s Webmaster Guidelines. In my opinion, these don’t count as paid links as you’re technically making a donation. But like most things in the SEO world, it’s a grey area. If you’re a brick and mortar business you’ve got a ton of amazing local link building opportunities (literally) at your doorstep. What you’re doing with local link building is finding industry and geo-specific sites that tend to link out to businesses in your area. Make no mistake: these links can be VERY powerful. I’m not sure why just about everyone in SEO has abandoned web directories en masse. After all, Matt Cutts has confirmed that links from the right web directories can give your site an organic traffic boost. As they should: web directories are doing Google’s hard work for them. They’re hand-curating sites for quality. However, there are very, very few directories worth submitting to. And this should only form a small part of your link building campaign. You can also submit to niche-specific directories. For example, if you were in the car maintenance space, you can submit to a handful of quality auto-related directories. If you offer a product or service, you can get some incredible (and I mean incredible) links simply by offering a discount to certain groups. For example, let’s say that you sold couches online. 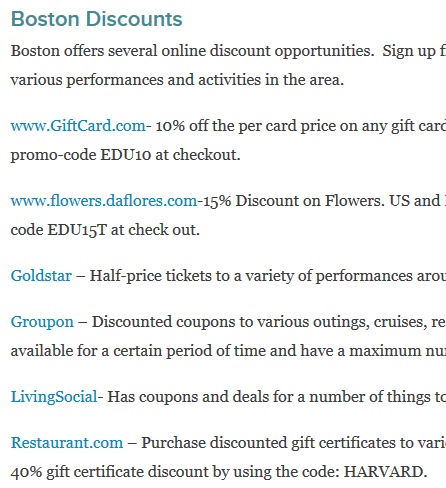 By offering a 10% discount to local (or even non-local) University students and faculty, you could land some great links from .edu discount pages like this (a PR5 page on Harvard.edu): Best of all, they’re very, very easy to find. 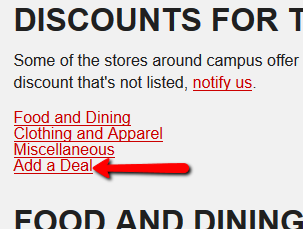 If your business is limited to a specific area, head over to a local University website and search for “student discounts” or “faculty discounts”. When you do, keep an eye out for a submission page or email dedicated to receiving new discounts. Does Google Allow Links Through Customer Discounts?